The Young-Davidson project is an Engineer, Procure and Construct (EPC) project that Cementation is currently constructing for Alamos Gold in Northern Ontario. From early engineering, the Cementation team was able to identify an innovative material handling solution by combining proven current technologies into a borehole hoisting shaft, which saved the Client on schedule and capital. Cementation introduced large diameter raise boring to North America, and combining the ability to excavate large diameter holes with the technology to insure verticality has enabled borehole hoisting to meet high speed production requirements. 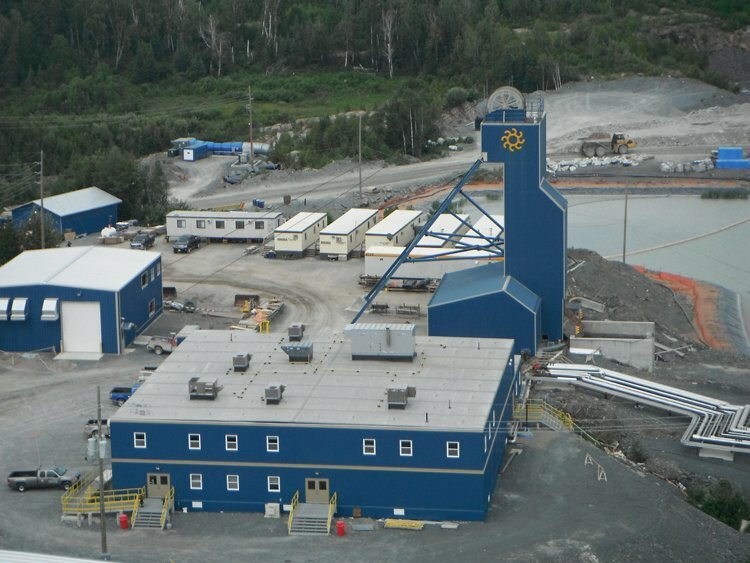 The permanent plant design incorporates a friction hoist tower mounted in a concrete headframe as well as rope guides, resulting in a low capital and energy efficient material handling system.